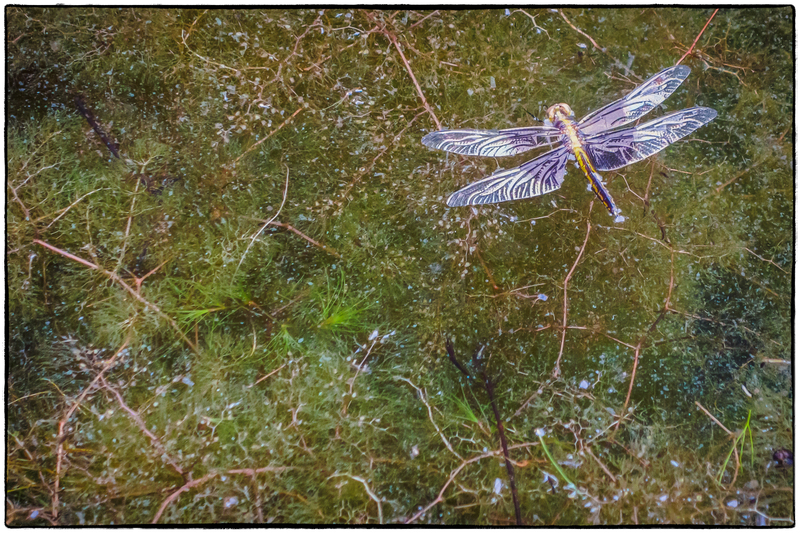 This mayfly (at least I think that’s what it is) had somehow managed to end up in the water. I was optimistic about it’s chances of getting out though. Lots of sticks and other objects were sticking out of the water. I felt it was only a matter of time before it managed to move itself closer to one of them so it could climb out, dry itself off and fly away. Didn’t stay around long enough to find out if that was the case though.